Equipped with a LED driver for directly connecting to voltage of 100VAC~240VAC with plug. Lower voltage power 24V AC/DC is available without plug. Fully sealed against dust, coolant and lubricants. Furnished with 1.8 meters of cord. Long service life up to 40,000 lighting hours. Applicable for semiconductor manufacturing equipment and clean room. Suitable for temperature range -22 Deg. ~ +140 Deg. Free of infrared ray and ultraviolet ray radiation. Anti-irritation lens grid is fitted as a standard accessory. 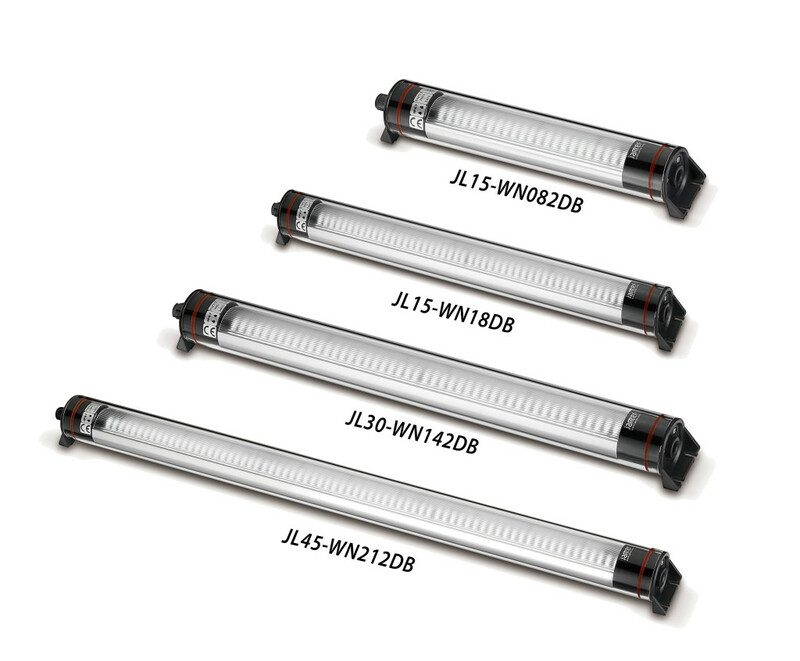 Glass light tube is standard.